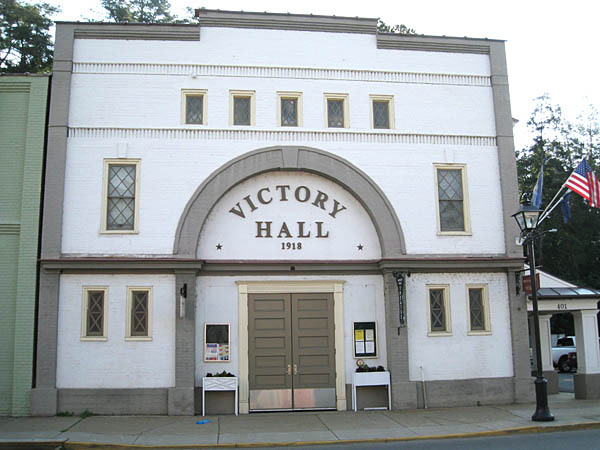 Comments: Victory Hall, later called Victory Theatre, was completed in 1920 on Scottsville's Valley Street to commemorate the Armistice of World I. It was the dream of Scottsville drama teacher, Marion McKay, to have a setting for dramatic performances and traveling vaudeville and Chautauqua shows. Designed by D. Wiley Anderson, a local architect, the hall was constructed of yellowish brick made from John Martin's foundry on the low grounds of old Snowden. Victory Hall became Scottsville's cultural center for over four decades as it hosted local dramatic productions as well as the traveling shows that came to town each year. Even the famed violinist Fritz Kreisler once appeared here. The exterior featured steps, an alcove, and an open half-dome, now preserved in the arch above recently-added front doors. The interior, designed like an opera house, had a lobby, stage, and proscenium. The hall comfortably sat an audience of over three hundred with an interior with a balcony, a lovely heavy velvet stage curtain and embossed valance, and two, large moose heads were displayed on each side of the stage. There were also two backstage dressing rooms. An ornate mirror, recently discovered intact, was part of the elegant decor which included chandeliers and upholstered theatre seats. With the advent of movies, William E. Burgess introduced silent films with player piano accompaniment to Victory Hall audiences. Eventually the classics and musicals of Hollywood's Golden Era were shown here using a big screen and modern projectors; shown below is the Burgess 'Talking Pictures' program for three months in 1934. However, live performances and events were always welcome on its stage. For over thirty years, Victory Theatre was the venue for Scottsville High School's senior class plays, graduation ceremonies, beauty contests, and local talent shows. 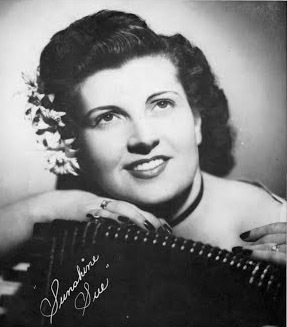 In the 1940's and 50's, many of the future greats of country music performed on the Victory Theatre stage. Victory Hall was conceived as a Scottsville community project in 1918 at the Armistice of World War I, when America emerged victorious in the so-called war to end all wars. The leading force behind the project was a lady by the name of Mrs. Marion McKay, a resident and drama coach well known for her productions to entertain townsfolk. Besides commemorating the Armistice, the chief practical impetus for the Victory Hall Project was the fact that Miss Hannah Moore's Entertainment Hall was no longer usable. Her hall and her pond, which stood at the far east end of what is now known as Jefferson Street and in the shadow of School House Hill, had been the sites of innumerable good times for local folks. The hall had been the town showplace, and the pond, when frozen over in winter, provided great recreational skating. Mrs. McKay quickly gained the backing of other prominent citizens who recognized the need for a town hall with an auditorium, including local architect D. Wiley Anderson, who drew up the plans for the building, and Mayor Jackson Beal, who probably thought of the idea of people sponsoring bricks for the construction. Soon nearly everyone in the community was helping with the Victory Hall Project. Citizens were invited to subscribe to stocks in the Victory Hall Company, Inc., for funding construction, and certificates were issued. People were asked to buy as many bricks as they could afford for the building. The yellowish gray bricks used were made in John Martin's foundry located on the lowgrounds at Snowden across the James River Bridge. These bricks also were used in several other structures in town. At a meeting of the corporation held on March 13, 1920, Mr. Jacinto Pereira, Treasurer, reported that to date $2,837.50 had been collected, and he urged that all subscribers who had not paid up should do so immediately, so that the building could be pushed to completion. Indeed, Victory Hall was completed that year, and Scottsville had a spacious new public auditorium that would efficiently and variedly serve the community's cultural and social needs for several decades. 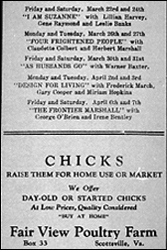 Not only did the new facility provide a venue for Mrs. McKay's dramatic productions, it also was acclaimed by the Chautauqua and vaudeville performers who came to town every year and it became the site of many special events and ceremonies of Scottsville High School, and it was a splendid place for town meetings, public recitals and lectures, and forums. For three decades, graduation ceremonies, Senior Class plays, beauty contests, and talent shows were held in Victory Hall. 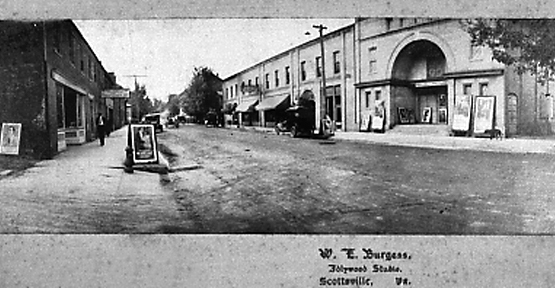 When the first moving pictures (the "silents") became available, Victory Hall was leased to Mr. Willie Burgess, the famous local photographer who brought that new form of entertainment to Scottsville Later on, from the mid-1930's to the early 1950's, the hall became known as Victory Theatre, showing as many as three feature movies a week. 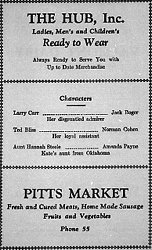 From the late Depression years through World War II, Nelson Tindall and Luther Baber of nearby Centenary leased the theatre and showed the great early musicals and all the war movies. Sometimes there were special showings of movies like "Mrs. Miniver" to benefit the war effort with bond sales. From the mid-1940's until the advent of TV, the theatre was operated by Reeve Nicholas and Edward "E.D." Dorrier, who continued to bring all the movies of Hollywood's Golden Era to our small-town, loyal audiences. It was not unusual on Friday or Saturday evening in the 1940's for almost all of the 386 seats, including the balcony, to be filled. Tickets then were 35 cents for adults and 25 cents for children under twelve. Through all its years of operation, the Victory Theatre also booked an impressive array of "live, in person, on the stage" shows ranging from western movie stars, future country music greats, magicians, and novelty entertainers to Bob Portfield's trouping Barter Theatre actors. Many of these were sponsored by civic groups wishing to raise funds and, of course, there were annual events like the Lions Club Variety Show and the "Miss Scottsville" Beauty Contest put on by a school group. 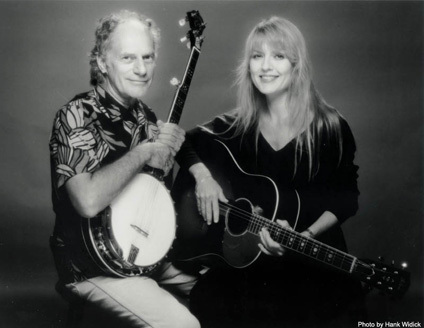 Country music stars, long "before country became cool," were a big draw at the Victory Theatre, sometimes necessitating two or more performances. A particular favorite was Sunshine Sue (shown at right) of WRVA Radio in Richmond, and her Old Dominion Barn Dance gang, which included such future greats as Chet Atkins, Grandpa Jones and Ramona, Joe and Rose Maphis, and June Carter Cash. Others who appeared were the Carter Sisters with Mother Maybelle, Lester Flatt and Earl Scruggs, Bill Monroe, Mac Wiserman, Stoney and Wilma Lee Cooper, Patsy Cline, Hank Williams, Smokey Graves, and so on. Scottsville's own Eddie Adcock,a pioneer and now a world renown star in bluegrass music, got his start on the stage of the Victory Theatre. Eddie would play his banjo and guitar and sing for the Saturday night crowd before the movie began. At an early age, he joined one of the country music bands that played the theatre. It is hoped that soon Eddie, with his wife and co-star Martha (shown at left), will be able to return to the remodeled stage where he began. Around 1962, the Scottsville Town Council began to feel that they had a big white elephant on their hands in old Victory Hall. It was noted that the Scottsville Volunteer Fire Department needed larger quarters for its vehicles, so the decision was made to tear out the theatre seats, flatten the cement floor, and create a parking bay for the fire trucks. Also, extensive remodeling was done to the upper level, creating meeting rooms, a town office, a kitchen, and restrooms. So, in 1964, Victory Hall became known as the Municipal Building with the ground floor becoming a large garage. By the mid-1970's, the Fire Department had built its new station in the uptown area of Scottsville, and the Volunteer Rescue Squad moved its vehicles into the parking bay. Just this past January, the Rescue Squad moved into their new, modern headquarters just outside of town. Now it is pretty obvious that the old Victory Hall ain't what it used to be, or even what it has been for the past three decades, but it still can claim a great deal of character and usefulness. The old stage and the dilapidated dressing rooms are still there facing a cavernous space that once was an auditorium. Fortunately for this great old landmark that has played so many roles, there is considerable interest by numerous individuals and several local organizations in turning what is left there into a modest but modern theatre suitable for plays, concerts, lectures, public meetings, and even the showing of movies. Victory Theatre Remodeling Committee has been formed and working for several months with input from the Scottsville Council for the Arts, the Horseshoe Bend Players, the Family Players Music Studio, an architect, and other interested individuals. The committee will coordinate efforts with town officials on this project. A special fund has been started and contributions have already been received. Anyone interested in helping with the project should contact Robert Spencer, Committee Chairman, or Wyatt Shields, Town Administrative Official. 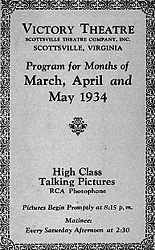 The images of Sunshine Sue and Eddie and Martha Adcock were contained in the March 1999 Scottville Museum Newsletter and are part of the Robert Spencer collection at Scottsville Museum.